MAIN POINT: I can have joy because anything is possible with God. 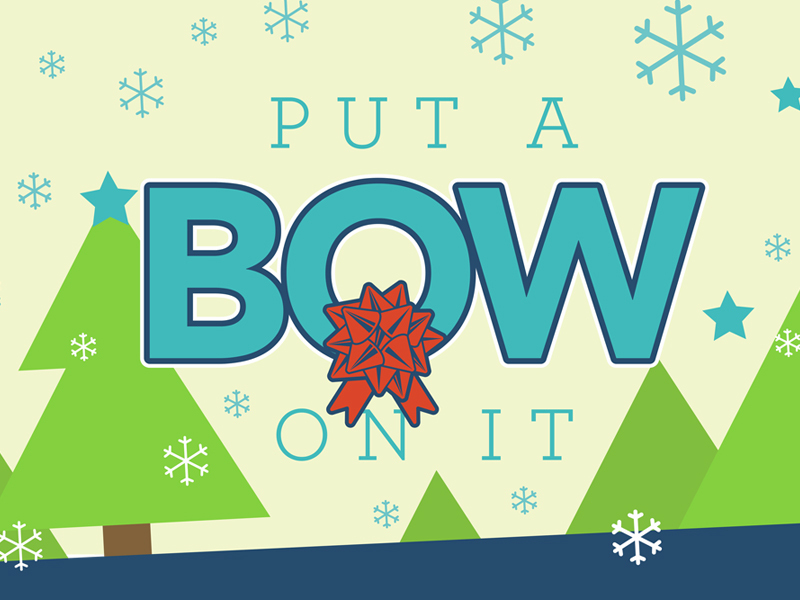 We continue our look at joy in Luke 1:5-25; 57-79. After God had been silent for about four hundred years, an angel suddenly showed up and made a promise to Zechariah and Elizabeth. The angel told Zechariah that they would have a son, even though they were well past the age of having children. The day John the Baptist, the cousin of Jesus, was born to them the Christmas story was set in motion. Zechariah broke into a song and his house celebrated. They realized firsthand that they could have joy because anything is possible with God. We can have joy because anything is possible with God. Knowing God can do the impossible has the possibility to fuel our joy. God may not always choose to do the impossible right away or at all, but that doesn’t mean He isn’t faithful. God can give us joy as we learn and grow during those impossible seasons of life. 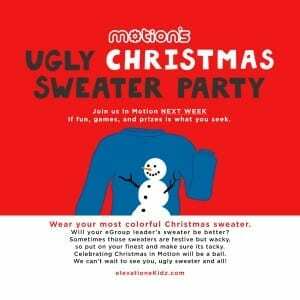 DON’T MISS MOTION’S UGLY CHRISTMAS SWEATER PARTY NEXT WEEK! At dinner tonight, ASK: how can being joyful make things better? How does your joy affect other people? At bedtime, read Luke 1:5-25. Pray together & ask God to help you to trust Him in situations that feel impossible. How can you not feel a little joy when you’re spending time with MC Haggis?